Duck, Duck, Goose | Optimism and Co. I agree, the title for this post needs reworking, but it’s the newest game Sammy picked up at preschool and he has been walking around saying “Duck, Duck, Goose”. In any case, this waterfowl pitcher is a different form I am experimenting with. It has a more elongated base and a wider mouth. The effect, to me, is a bird on the water. The combination of form, texture and glaze recalls the style from a couple of decades earlier. Don’t you think? Hand-built ceramic slab with handcarved surface detail. 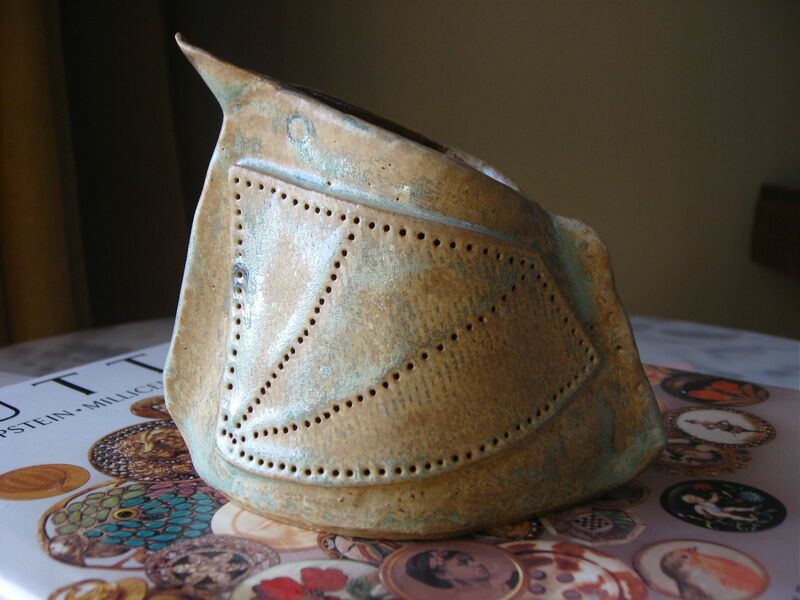 Commercial glazes of contrasting colors on the inside and outside, iron oxide wash, fired to Cone 6.